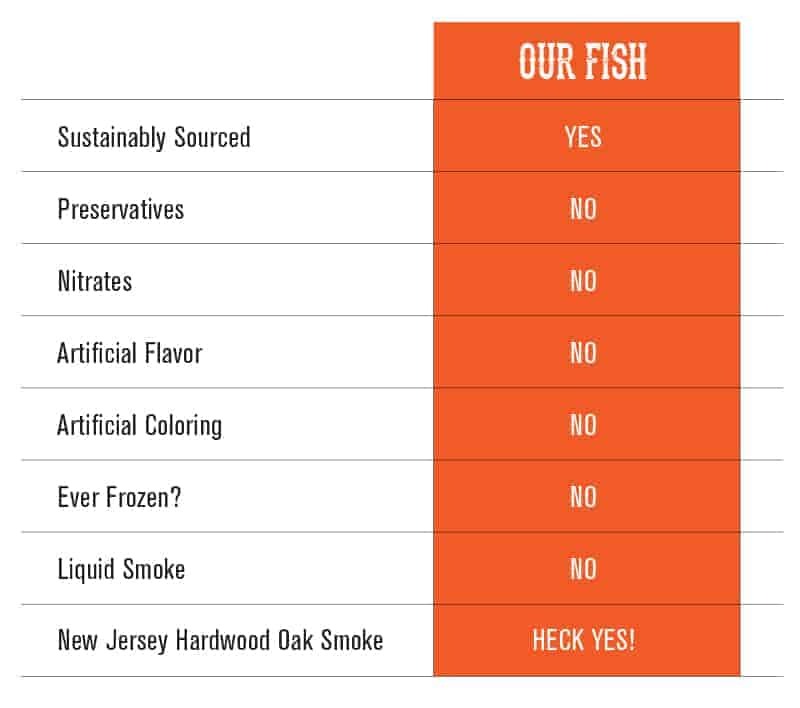 Water Dog Smoked Fish uses the highest-quality Atlantic Salmon available. We purchase our fish, before our hand-smoking process, only from responsible and sustainable resources. Our curing and smoking process observes the strictest guidelines set by the USDA and is highlighted by our commitment to not add preservatives, artificial coloring, liquid smoke, or sugar (We do use a small amount of good ‘ole brown sugar in our Kippered Salmon). The facility and process we use to produce our tasty fish is Certified Kosher. Our fish is a great source of protein and is naturally low in fat. Of course, salmon is known as an excellent source of omega-3 fatty acids, which have been proved to combat a variety of threats to our metabolic health, including improvements in arterial health and can even lower your blood pressure! If you care, like we do, about the quality of what we eat, the sustainability of the resource from which it came and treating our food sources humanely, then Water Dog is your kinda’ place. Enjoy!